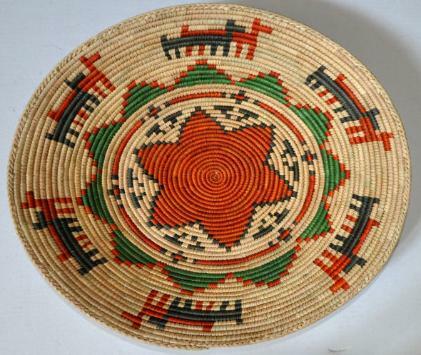 Beautiful handwoven basket with a traditional Native American style. Great for display of serving breads. 15 inch diameter. Free Shipping. Beautiful handwoven basket with a traditional Native American style. Great for display of serving breads. 15 inche diameter. Free Shipping.